MERCEDES-Benz AMG customers waiting more than three months for their new cars can at least look at pictures of their mean machine on a personalised iPad. Mercedes-Benz Australia has couriered 500 iPads to clients who are queuing for the new A45, GLA45 and CLA45 AMG variants. 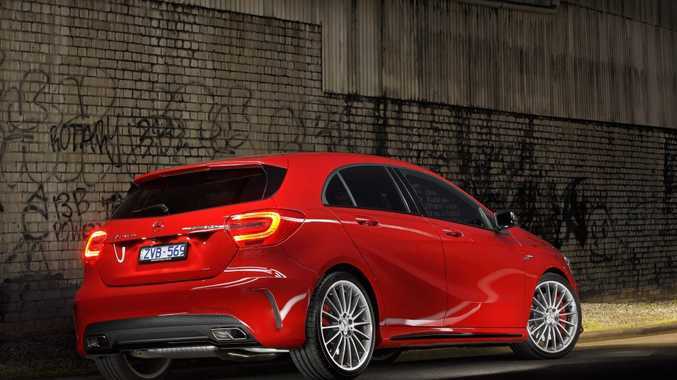 Depending on location, some in line for the raucous A45 hatch have to wait until late next year. AMG is the performance arm of Mercedes-Benz and is enjoying outstanding success Down Under. Australia has the highest penetration of AMG models in any world market. Up until June, more than 1200 AMGs had been sold and Mercedes expects the record of 1671 sales in a year to be eclipsed within the next few months. Mercedes-Benz's senior manager of corporate communications David McCarthy said production limitations caused the delays, but the marque refused to increase volume at the expense of quality. Since AMG entered the Australian market, the outstanding C63 can lay claim to being the most successful. With an amazing V8 boasting a brilliant exhaust soundtrack, it has accounted for one third of all AMGs sold here. The 10,000th AMG to be sold in Australia is expected to be achieved in August or September and Mercedes-Benz has something special planned for the lucky customer. Exactly what's planned is yet to be revealed.